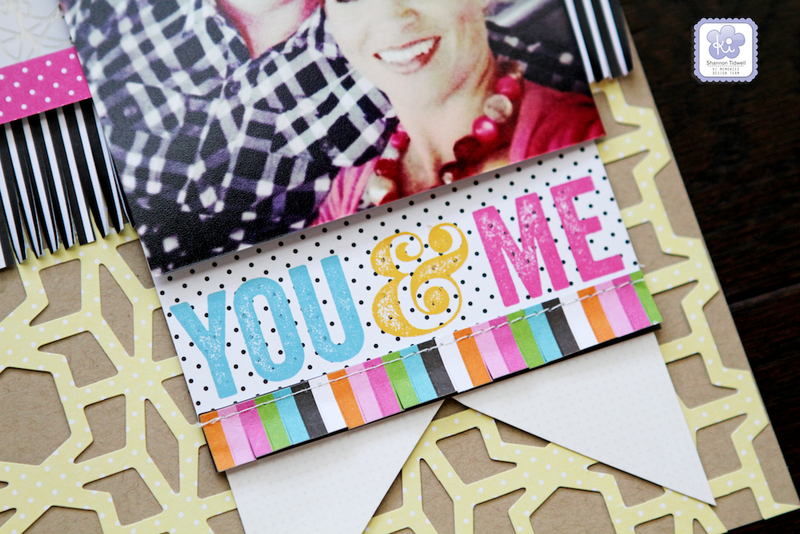 Pam Brown shares a sweet layout and two great cards! I stamped my title (Bundle of Joy), and used arrows to draw your eye across the page. To dress the stamped stars on the bottom up, I added a punched star on top of one of them. I knew I wanted sort of a grid design, so I stamped everything first, then went back and added bits and pieces that would fit around the stamped images/words. To make this card appropriate for a baby girl, I stamped floral images from 2 different licensed Echo Park stamp sets in hues of pink and yellow to create my background. I stamped the banner piece and added a “K” sticker in the center, and I mimicked the stamped banner piece by punching one from patterned paper and embellishing that. I backed it all on a plaid pink background and added some stitching for a little extra handmade feel. Hello! 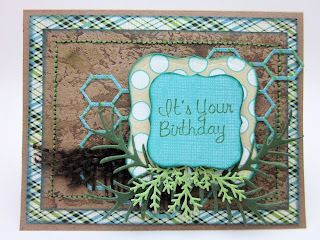 Pam here this morning to share a sweet and simple card created solely from the licensed Bella Blvd Sand and Surf stamp set. For this card, I stamped in different colors, the 4 flowers that are included in the set. I then randomly stamped leaves. I finished by stamping a sentiment. I trimmed my piece of white cardstock to the size I wanted after stamping, so that I could make sure the images were centered where I wanted them! 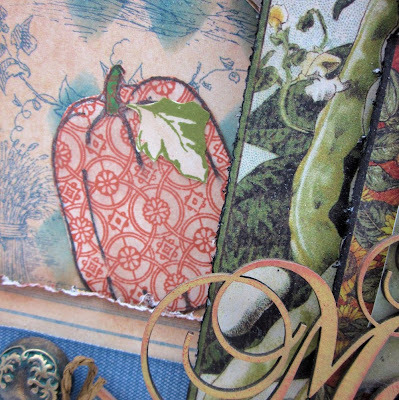 3 fantastic projects by Gini Williams Cagle! Hi, it’s Gini – if you have any summer parties to plan, then this cute card could be just what you are looking for. After I stamped the lion, and colored him – I fussy cut around him, and used foam adhesives to raise him up. The patterned paper that I used, had a printed sentiment, that wasn’t fitting for this project, so I used some of the KI Memories Washi Tape, to cover over it. Perfect solution! It’s Gini, and I’m stepping out of my comfort zone to share a manly card with you. I don’t have a hard time with flowers and frills, but ask me to make a card for a male, and I get a little nervous. I still added details, but I think they created a card perfect for the woodsy type. 1. 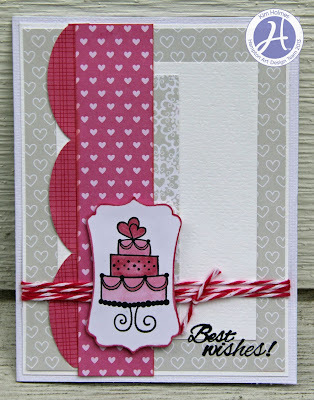 Make card from cardstock; adhere patterned paper. 2. Ink embossing plate with dark brown ink and run through machine with kraft paper rectangle. 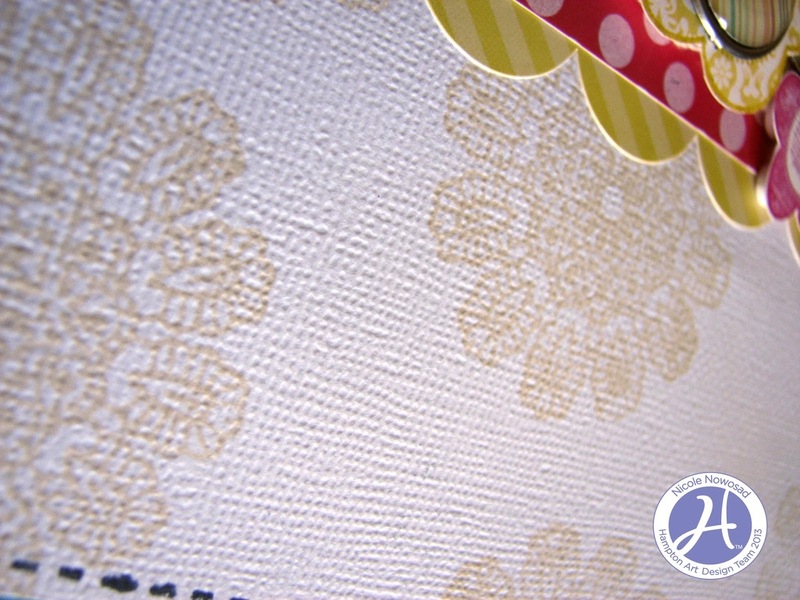 Adhere to patterned paper and machine stitch. 3. Die cut chicken wire and adhere to card. Layer a frayed piece of burlap ribbon over the bottom portion of the die cut. 4. Die cut two French Flair squares. Stamp sentiment on the smaller one. Adhere with foam adhesive. 5. 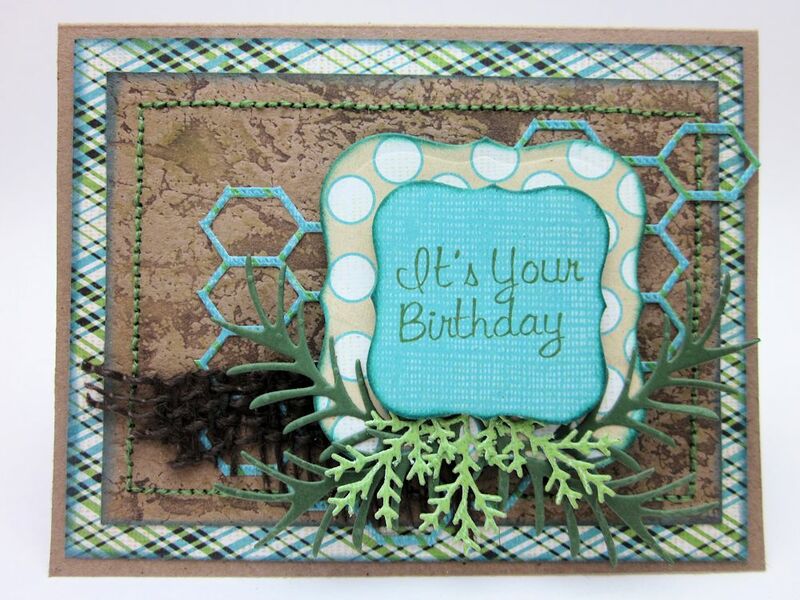 Decorate the sentiment with die cut ferns and Dew Drops as shown. 6. 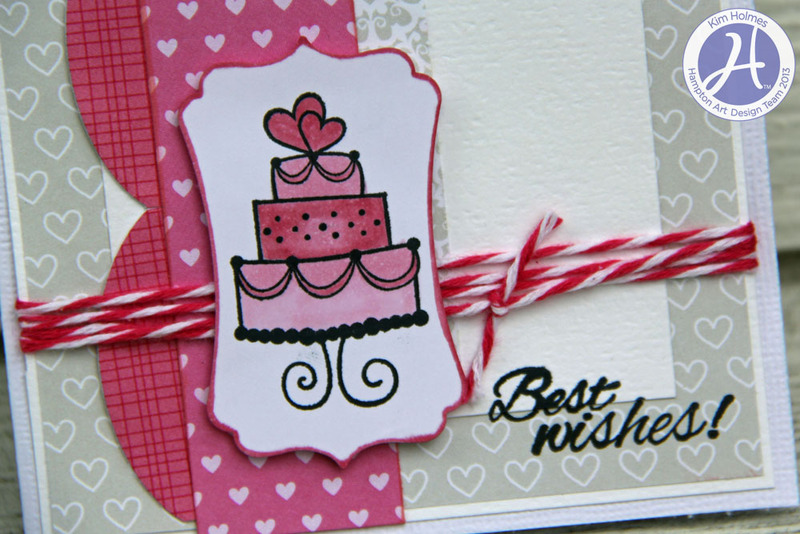 For the inside of the card, add a square of patterned paper with edges inked. 7. 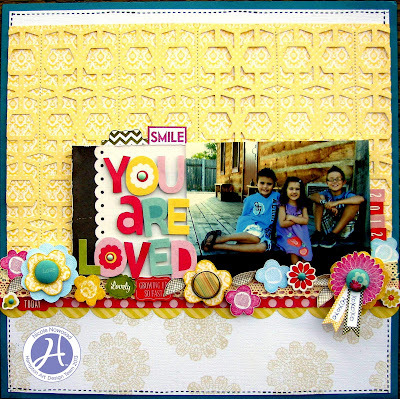 Adhere a stamped, trimmed sentiment and die cut ric-rac trim. Hi, it’s Gini - For me, making layouts are all about layers, layers, layers! I like to add lots of textures for visual interest. 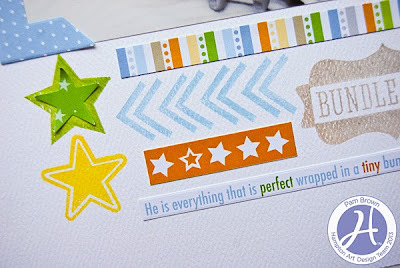 When I use stamps to make an embellishment for a page, it’s not any different. For this project, I made the pumpkins by combining three stamps. First I stamped the Botanicabella Background onto white cardstock. Then I stamped the pumpkins from the Happy Hauntings set over the background and cut them out. Next I cut the leaf border from the set, and cut the individual leaves apart and added them to the pumpkins. 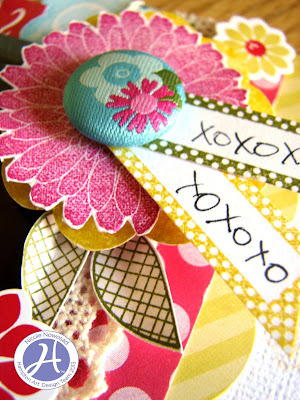 So, it’s a fun and easy way to make your own embellishments. And although this was a Halloween set, it was perfect to remake it for this layout. 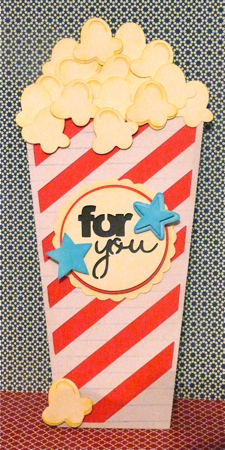 Beverly Sizemore shares 4 fun projects! top and bottom for your card base. 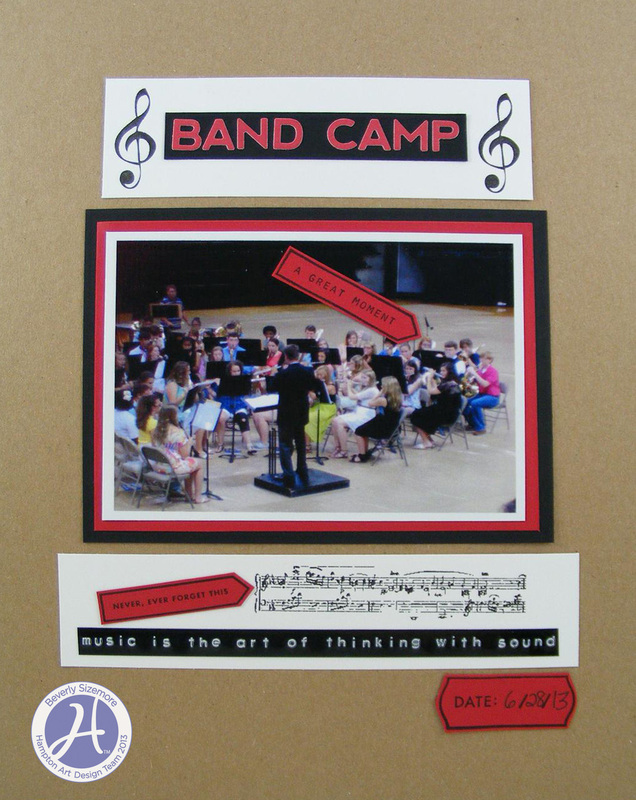 centers of stamped frame images. 3. 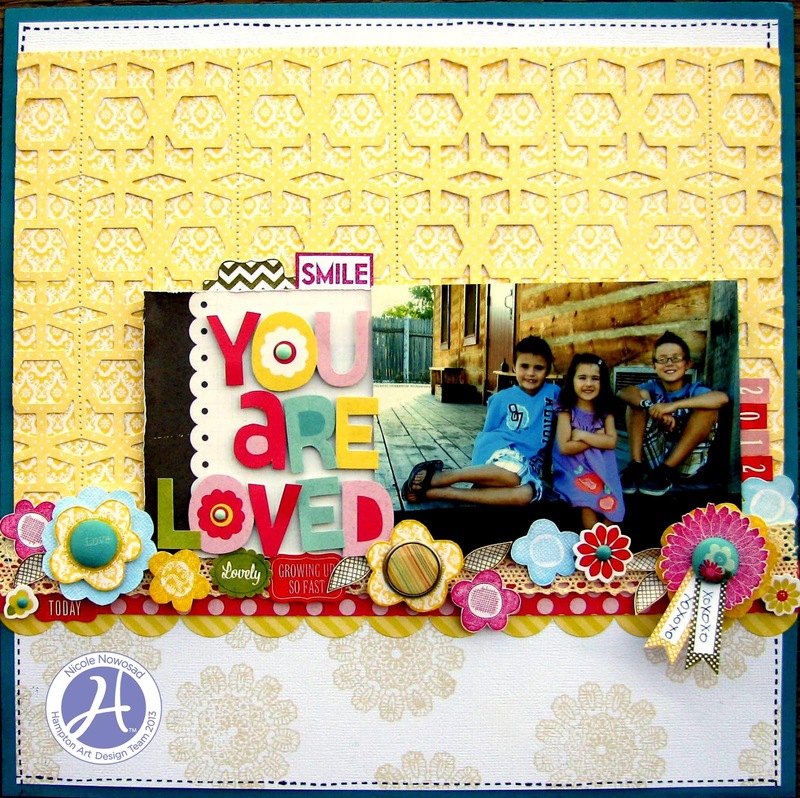 Stamp sentiment with Clearsnap Colorbox Cherry ink pad in lower right corner. 4. 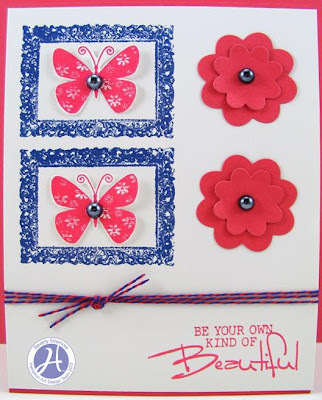 Adhere two red cardstock diecut flowers beside the stamped frames. ivory cardstock as shown. Color butterfly images with markers. Mount on pink cardstock and adhere to lower left side. 3. Stamp two larger butterfly images with black ink on ivory cardstock. 4. Wrap and tie baker’s twine at bottom. 1. 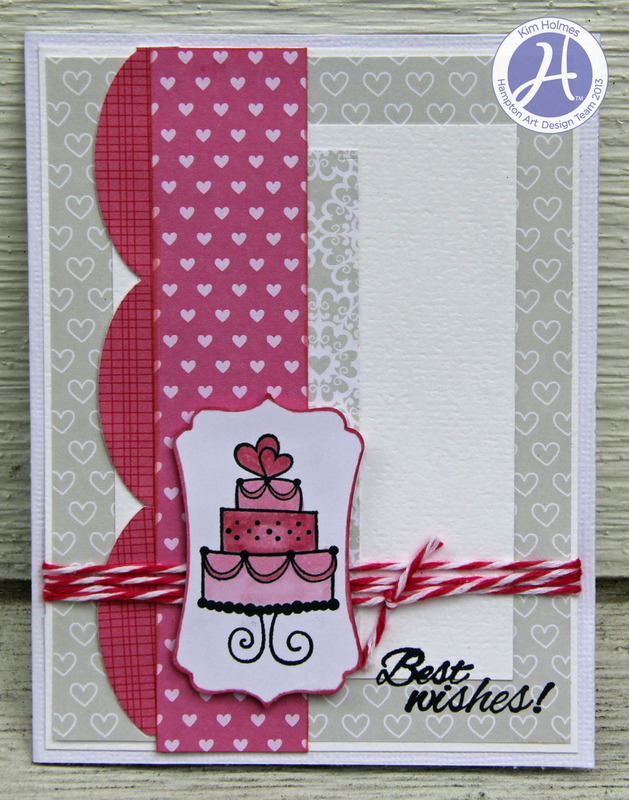 Trim cardstock and patterned papers as shown for card base. image. Adhere to Mona Lisa image. two small butterfly images with brown ink above sentiment. 4. Thread pale green thread in three etched butterfly buttons. Secure down top right in row beside Mona Lisa image. 5. 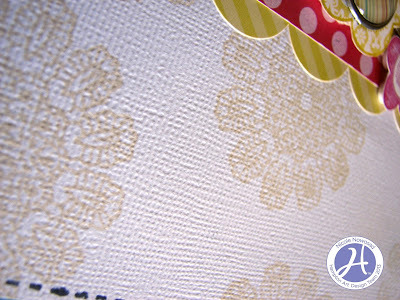 Staple paper ribbon banners and thread to lower left corner. 8 ½ x 11 inch paper. Adhere stamped word pointer to photo. 2. Mount red alphabet stickers to black cardstock. Mount on white cardstock. Stamp image with black ink on each side of title. Adhere above photo. sentiment below. Adhere below photo. 4. Adhere stamped date label image to lower right as shown. Beautiful and Sweet cards from Dana Warren and Pam Brown! 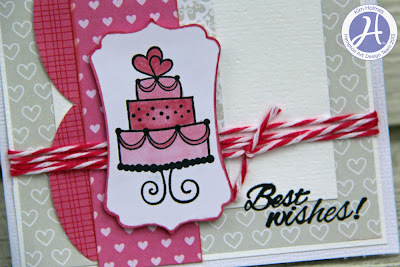 Today I have a super cute card that I just love how it turned out!! 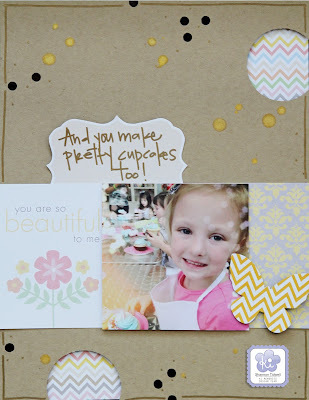 I really wanted to use the cute cupcake image from Bella Blvd Kiss Me set, but not sure what I was going to do with it. But it really came together as I used what was already on my craft table! I already had the die, fabric, trim and markers out, and it easy to add some sticker and pattern paper to get my complete card!! 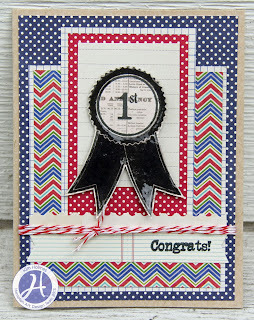 Use the banner die to make the cardbase. 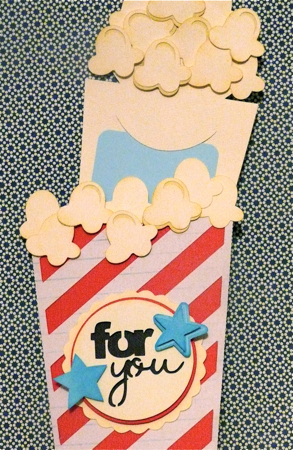 Cut banner from pattern paper and adhere to card front. Stamp cupcake on duck cloth, color with markers and cut out. 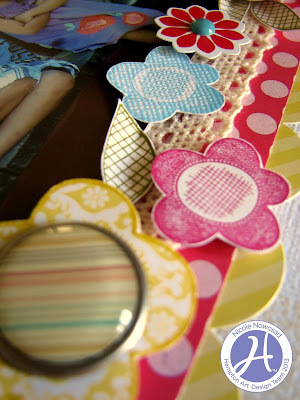 Adhere flower strip, lace and sticker to card front. 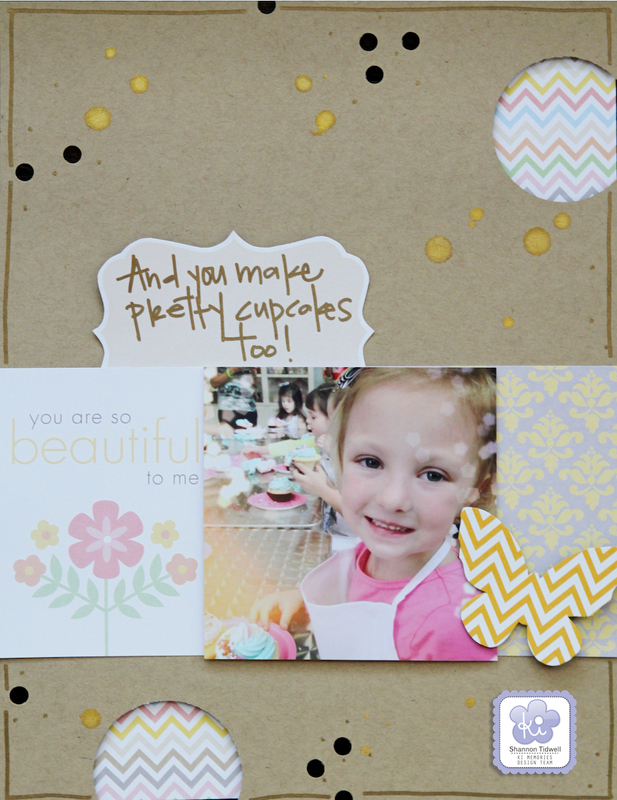 Adhere label with cupcake with pop up dots. 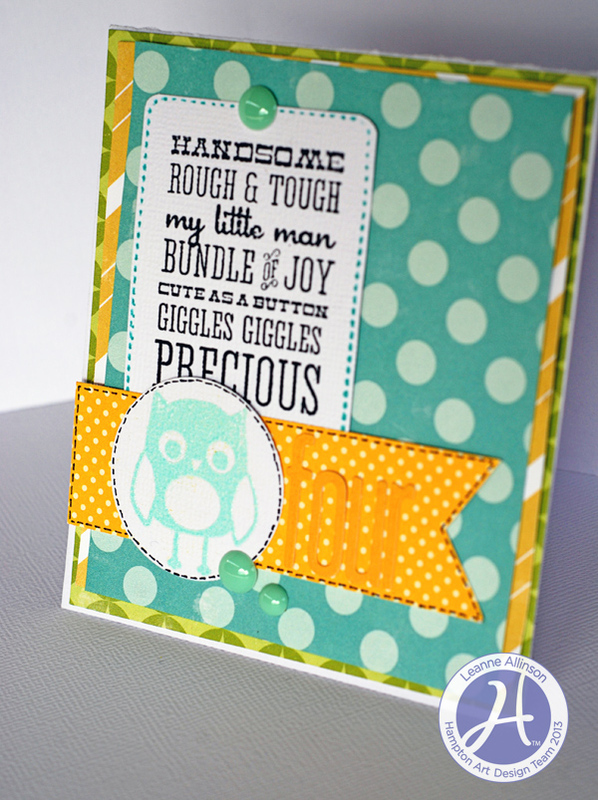 Today I have a little card with a cute way to announce you are expecting! I was in the mood to fussy cut when I made the card, but obviously if you are making a few to mail you could use markers instead of pattern paper! Stamp ducks on yellow and orange pattern paper. Cut out ducks from yellow. Cut beaks and wheels from orange and adhere to yellow ducks. Adhere pattern paper to card base, tearing bottom piece. 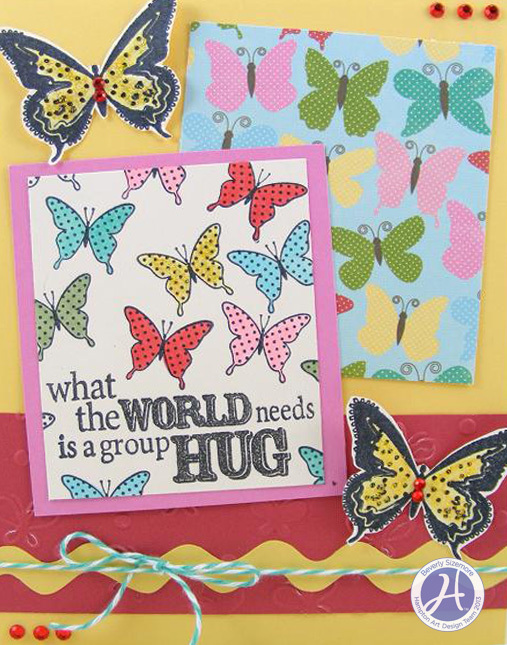 I stamped the large butterfly in the center, a medium one on the bottom, and a small one on top. Then I filled the spaces with a butterfly die-cut and stamped the sentiment. I used ink colors that matched the die-cut, so there are pretty pops of color running down my card. Fun cards by Patty Folchert and Kim Frantz today! Summer Greetings all, just popping in to share a card for a favorite friend. 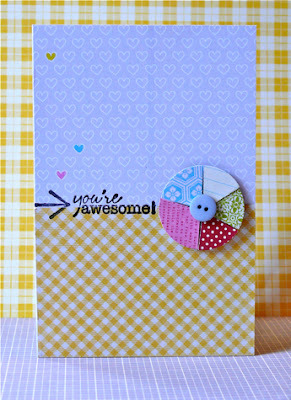 This card is a happy mixture of KI Memories Vintage Charm paper collection and Hampton Art/Authentique Grateful Heart Clear Stamps. 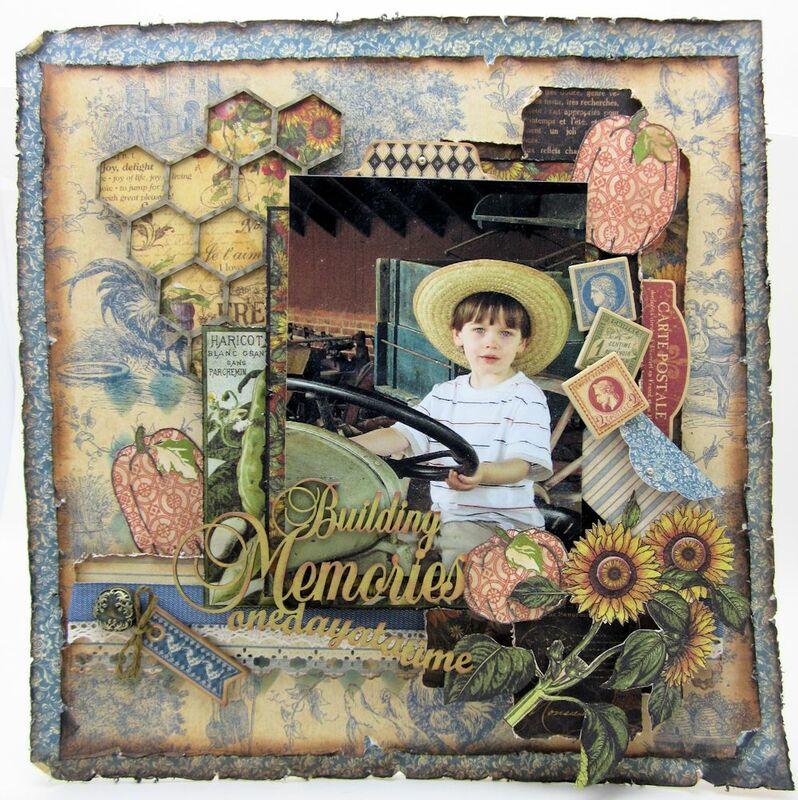 To create the background I utilized the fabulous KI Memories Vintage Charm/musical Hearts diecut sheet and popped it up with foam dots. Then I built in some layers with the ruler paper and the ruffle sticker. Finally the stamped images were stamped onto the notebook paper in Ocean Blue and then fussy cut and arranged around the butterfly ruffle sticker. The sentiment was stamped on blue pattern paper in coffee brown ink and fussy cut as well. Leaves were handcut with edges inked and added around the flowers. Then you just add a little bling to the flower centers and it is complete. So take the time to create a handmade card for a special friend, let them know how grateful you are to have them in your life! Three popular trends came together for this quick all occasion card. 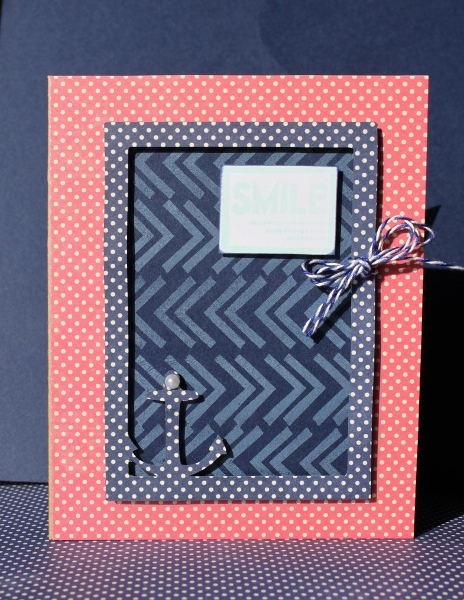 The trendy navy, mint and coral color palette, arrows and the ever popular anchor theme; the result is a playful yet versatile card. A quick cut on my Cricut using the Stand & Salute cartridge created the anchor cutout frame in Navy Salt paper. The background insert was stamped in mint pigment ink onto navy cardstock with the frame added on top with foam dots. The card base is a coral dot pattern and the sentiment was mint stamped onto white cardstock and fussy cut out. A double bow of navy and white bakers twine was added and one small pearl bling for a finishing touch. That was it, a quick card for almost any occasion- it guarantees a smile. I promise. Hampton Art/Echo Park- Oh Snap! The pie chart embellishment symbolizes the many things that come together to make the recipient who they are...And that you think they are awesome! Patterned Paper: Jillibean Soup, Fresh Vegetable Soup/Chicken Base/Crushed Ginger. Country Pumpkin Chowder/Bite Size Bits. Soup Staples II/Red Salt. Grandma's Lima Bean Soup/Dry Lima Beans. Irish Farmhouse/Stewed Beef. Bella Blvd, Love and Marriage/Cute Cuts. Stamps: Bella Blvd/Sand & Surf. Other: Ink by Ranger, Button. 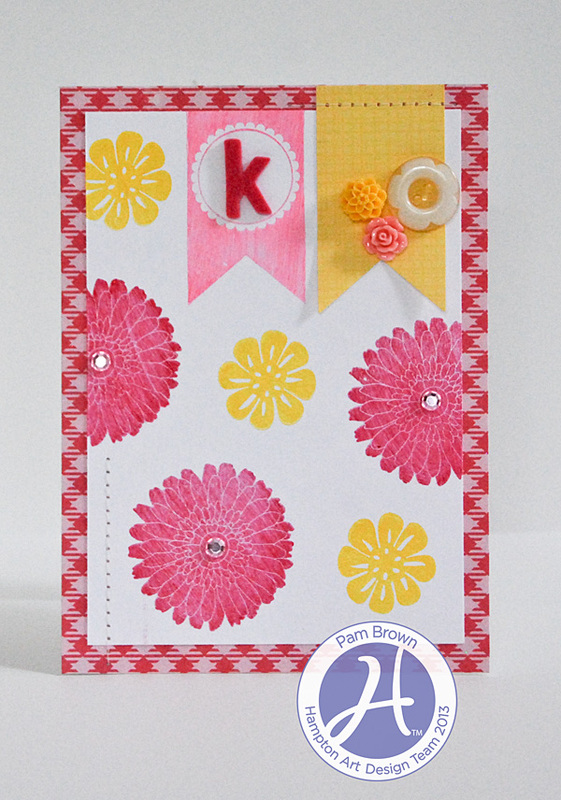 Cards Galore today by Britt Brass and Kim Frantz! Hello! 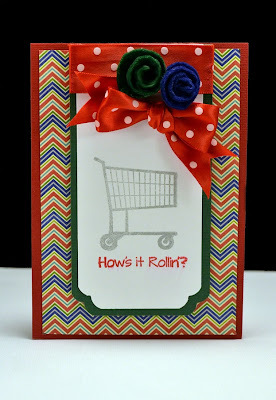 Britt Bass here today sharing with you a card using The Jillibean Soup “Fresh Vegetable Soup” papers and liscensed Large Clear stamp set along with Clearsnap pigment ink. I just adore this icon and sentiment from the “Vegetable Soup” clear stamp set. 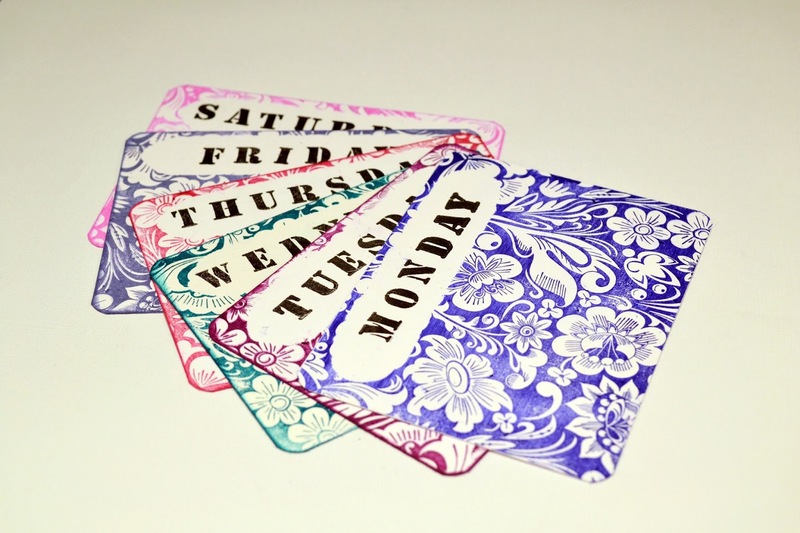 If you are a fan of kitschy, punny sentiments for cards and layouts then this is the perfect set for you. I simply stamped the cart and sentiment on a white piece of paper, trimmed it, chomped the corners and matted it. I made some rolled roses out of felt and grouped them at the top over my ribbon. 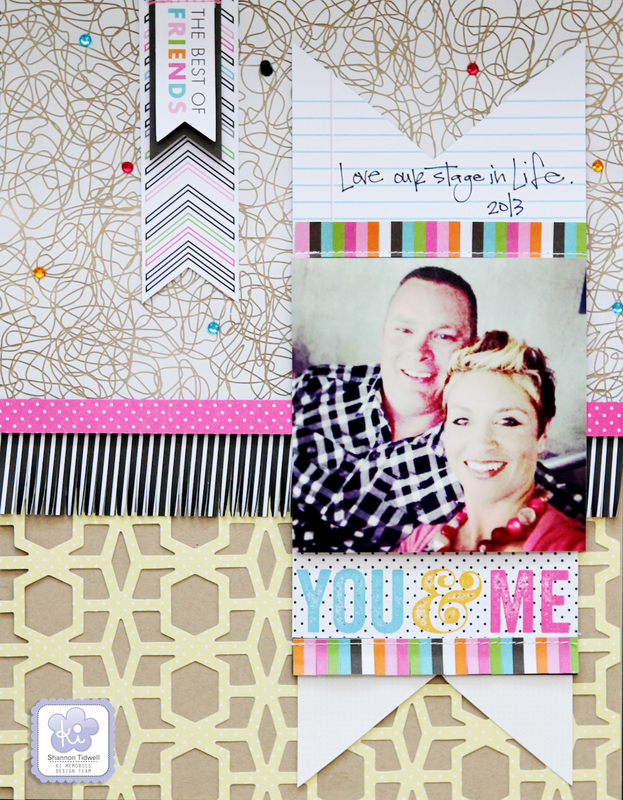 A piece of paper from the Jillibean collection pack gives the background a little movement...and done! Hello! Britt Bass here today sharing with you a set of journaling cards made using the Art Warehouse “Flower Power Background“ stamp and one of the Jillibean Soup liscensed clear stamp sets for the “Irish Farm House Soup” collection, stamped in Clearsnap pigment ink. 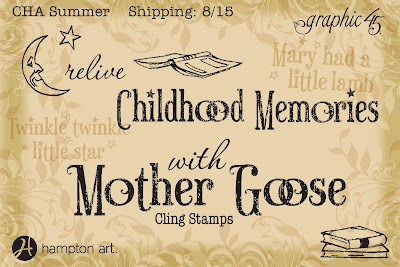 If you love the idea of recording your everyday memories, but you are more of a stamps-and-ink crafter, you will love this idea! 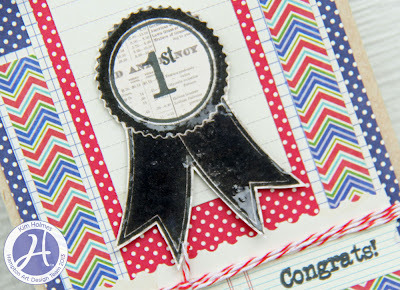 Use your Hampton Art background stamps and some white cardstock to create your own, one-of-a-kind title and journaling cards. I created a little label-shaped mask and used repositionable adhesive to adhere it to each card before I stamped my background. Then, after stamping each card in coordinating colors using Clearsnap Colorbox Petal Point Pigment inks, I stamped each weekday with my small letter stamps. Patterned Paper: KI Memories/Vintage Charm/Carte Postale. Stamps: Echo Park Paper Co/Oh Snap and Bundle of Joy. 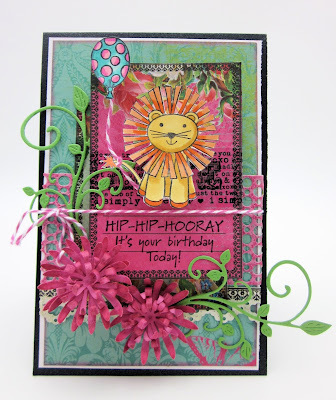 Fun, bright cards by Leanne Allinson and a playful layout by Nicole Nowosad! Good morning Hampton Art fans! 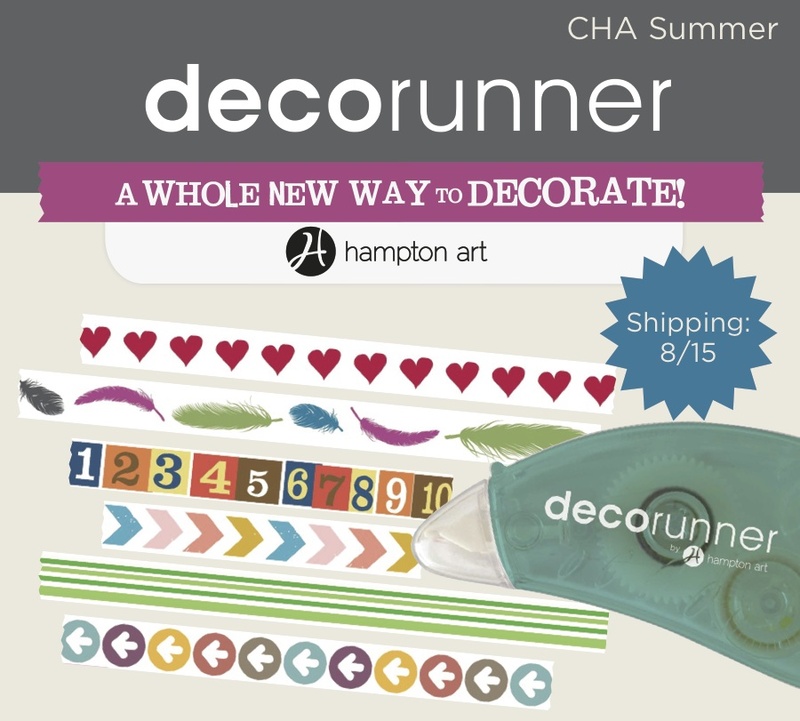 I am happy to share a page I created very quickly using some fun Hampton Art products. 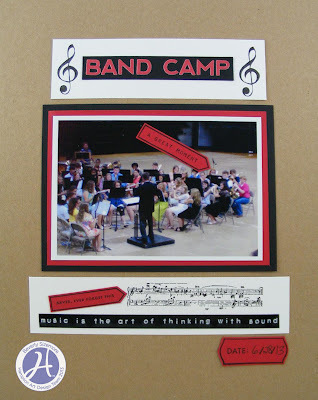 I then added some patterned paper, layered with the KI Memories die cut lace cardstock and then added my photo and title. And then the page is complete! 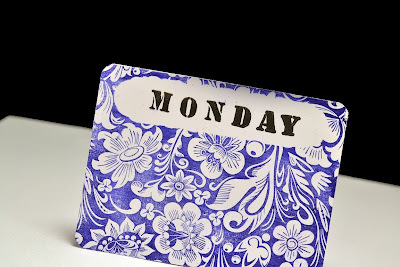 Thanks for joining me on the blog today – stay tuned for more inspiration from the rest of the DT this week! Hi Everyone! 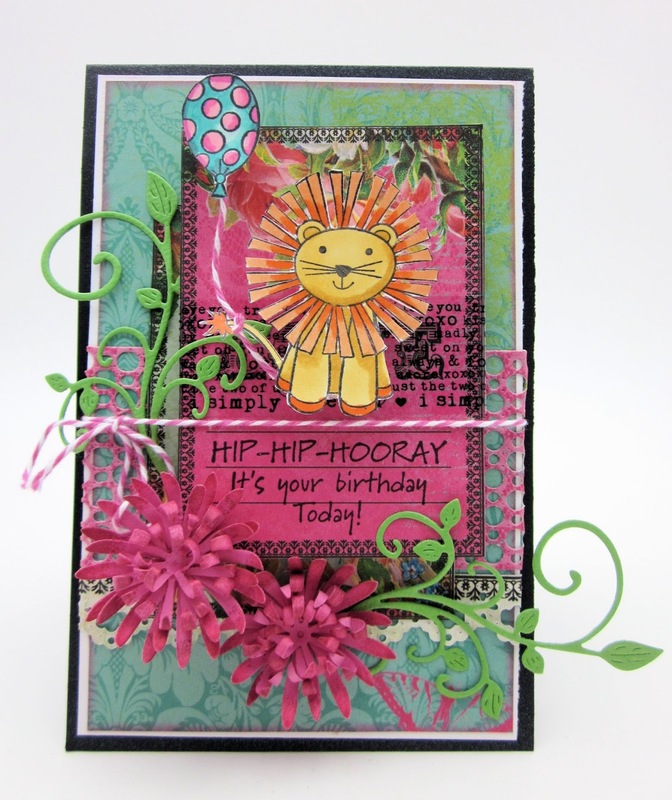 It's Leanne here today to share with you a fun card enhanced with embossing powder and glitter! 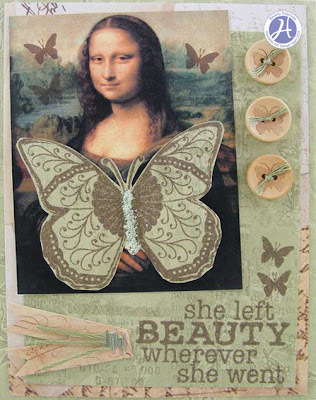 I have used the gorgeous new Bella Blvd | Kiss Me (IC225) cling stamps to create a sky scene. 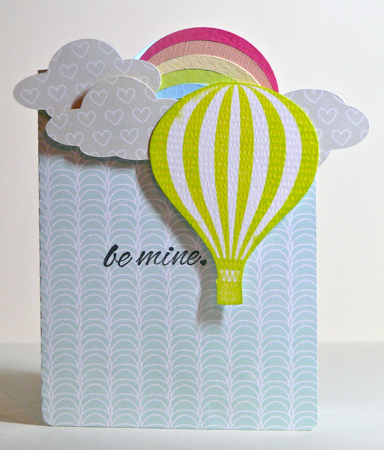 The sentiment stamp is perfect for the centre of my sunburst and compliments the sky blue embossed clouds. I have finished the card by adding a touch of glitter to one side of the sunburst rays. Hello Friends! It's Leanne here today to share with you a bright and fun birthday card. 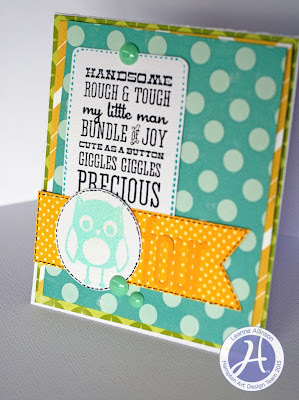 I have used the new Echo Park | Bundle of Joy Boy (SC0527) stamp collection. 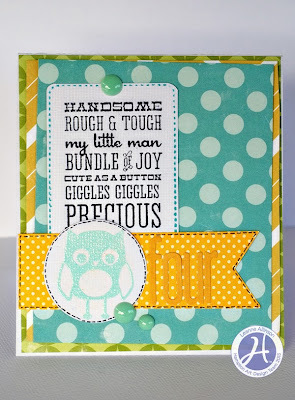 The sentiment stamp is a perfect description of my youngest son who is about to turn four. I have finished the card by adding the stamped owl image. It makes a cute embellishment when embossed in a complimentary colour. CHA sneak peek plus two KI Memories layouts by Shannon Tidwell and a mini album by Kim Frantz! 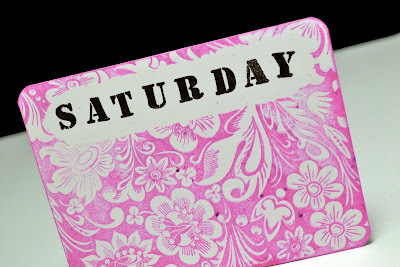 Today we have another peek at new items coming out from Hampton Art this week at the Summer Craft & Hobby Show (CHA). 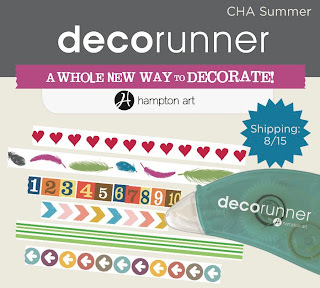 The Decorunner has new designs! Check them out in the graphic below. Super cute! I made the photo the center of attention by surrounding it by layers of texture and color. The large flag shape helps keep the photo at the forefront. I love the subtle texture the Die-Cut paper adds to the bottom half of the paper. I know that's a paper that I'll use frequently! I love all the patterns and designs on just one sheet of paper. The soft colors mixed well with the gold accents I added. For easy embellishments I punched circles in the background and then backed them with patterned paper on pop dots. It adds a fun element of dimension. I also hole punched a few times around the edge and dripped some gold paint around. 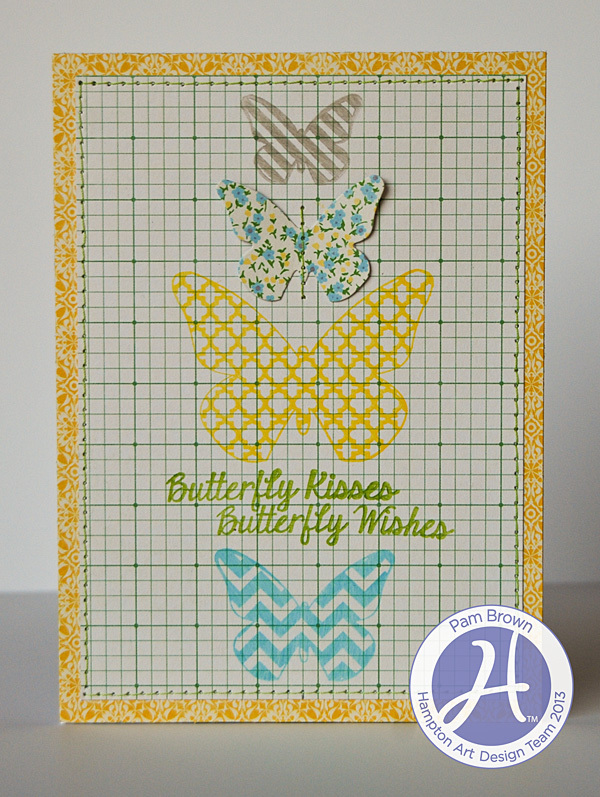 The butterfly was cut from the Simply Lovely KI paper. 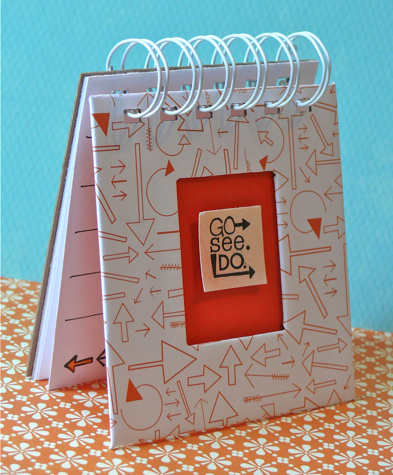 This little notebook is great to keep with you during the day. Record details about the places you go and the things you see and do. Bella Blvd, Sand & Surf/Cute Cuts. Stamp: Bella Blvd/Sand & Surf. 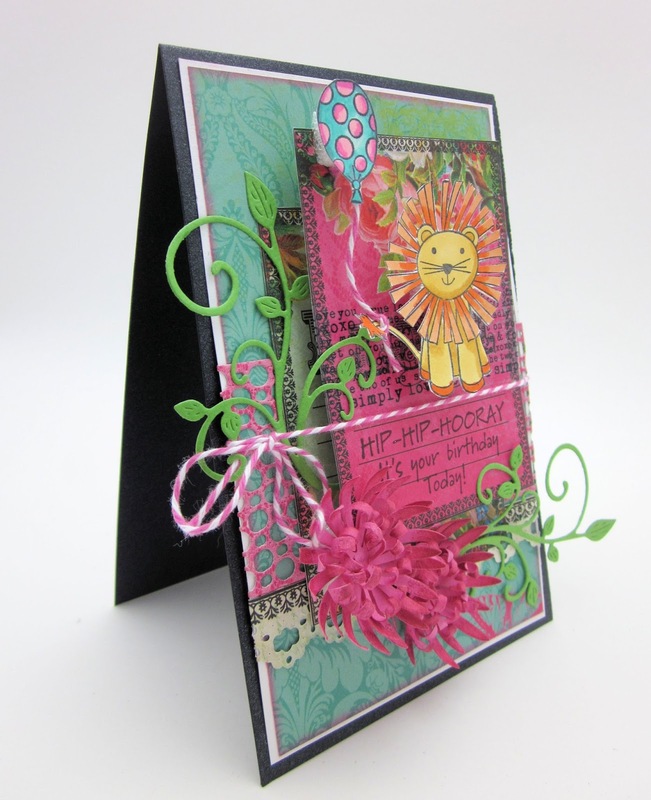 CHA Sneak Peek #2 from Graphic 45 and Hampton Art plus 2 cards from Kim Holmes and 1 card from Kim Frantz! 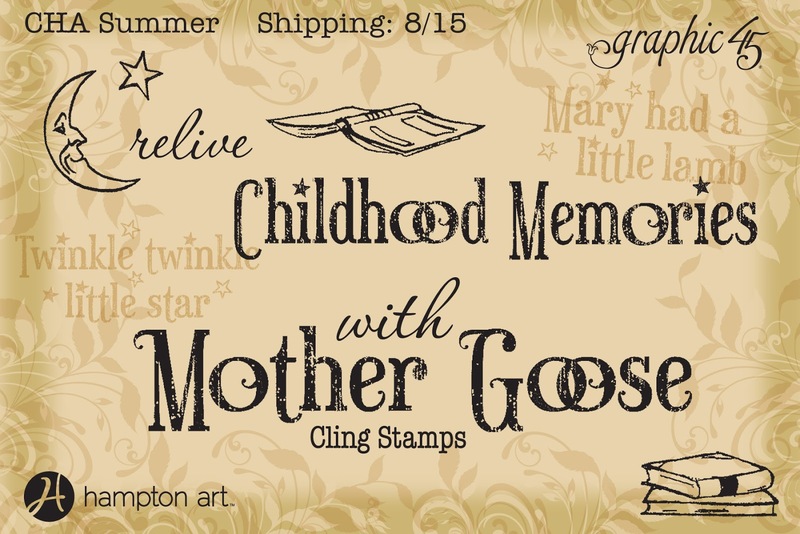 Today we have another sneak for you of some of the new Graphic 45 stamps coming from both Graphic 45 and Hampton Art. I have a feeling you can figure out from this image what the stamp set may look like! What fun! Yep, it's that time of the year again when graduations are everywhere. 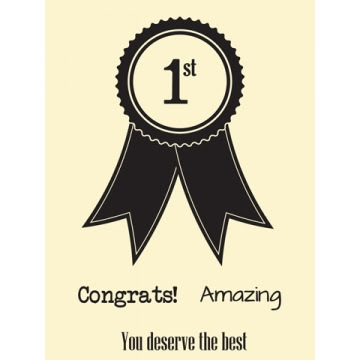 Whether you are celebrating kindergarten, grade school, middle school, high school or college graduation, everyone knows someone that they can congratulate! I love the small stamp set from Hampton that coordinates with the Jillibean Soup Fresh Vegetable Soup Collection. I stamped the ribbon image in black in on my stamping paper and then fussy cut around it. I popped it up on my design and then applied Glossy Accents to the image. I love how it curled the ribbon edges up as it dried! It's that time of year again and weddings are a weekly event especially with my kids getting older and their friends all getting married. I was excited to see the Love & Marriage Stamp set so I could stock up on my cards for all the happy couples! The first one was created with a combination of the Love & Marriage and the Kiss Me Collections from Bella Blvd. After stamping the image and coloring it, I used my punch and created my popped up element that you see here. After assembling the card, I added the sentiment! Quick & easy and ready to add to my stock pile! Patterned Paper: Bella Blvd/Love and Marriage/Cute Cuts, Echo Park Paper Co/Bundle of Joy/Lulluby. Stamps: Echo Park Paper Co/All About A Boy. Three great cards by Laurel Seabrook! Two amazing card by Vivian Keh!